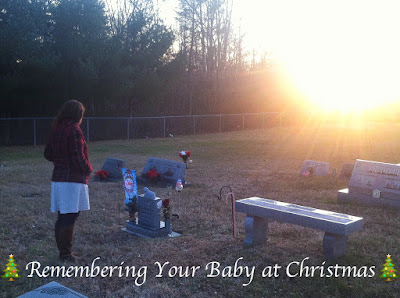 The holidays are difficult to face after losing a baby. It is such a special time of year that reminds you of everything you are missing out on with your child. I have put together a few ideas on how to incorporate your baby into the season. Each year, I try to edit this post to keep it up-to-date. I pray these suggestions help bring you some comfort and that it eases the ache in your heart just a little bit. I know Christmas is still several weeks away, but I wanted to share this with enough time for people to be able to participate in these things if they choose. I pray it brightens your Christmas season. It can be healing to come up with new traditions that honor your little one. We can celebrate, even in the midst of sadness. Think about setting up a space in your home in honor of your baby this Christmas. 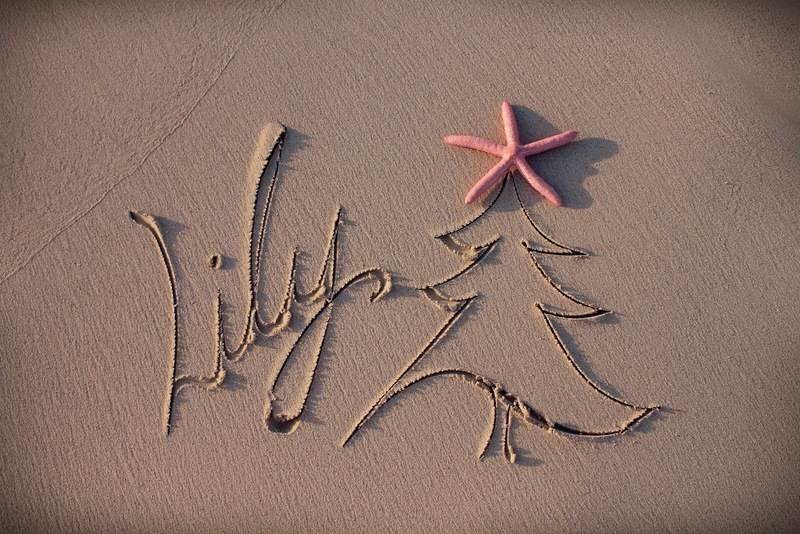 You could get a mini-Christmas tree and decorate it with lights and whatever else you'd like. You could get a pink, blue or really any color tree, or go for a traditional one. I've had both green and gold mini trees to enjoy in my room. 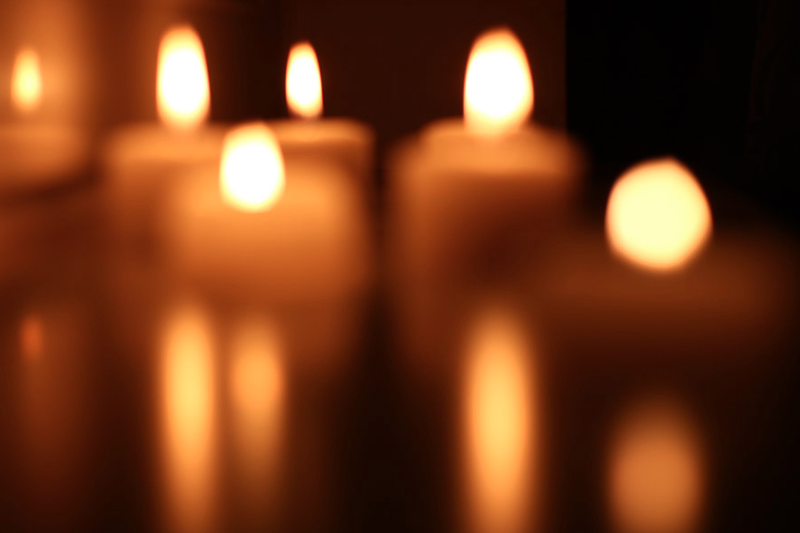 Put candles around this special space and light them each night. You could even make a candle holder! Something I've done is made a photo collage of several Christmas prints from Carly Marie's RedBubble shop to be displayed in this special space. You could take an evening to listen to songs that remind you of your baby and prepare this space. You don't need to spend much money. Get creative. 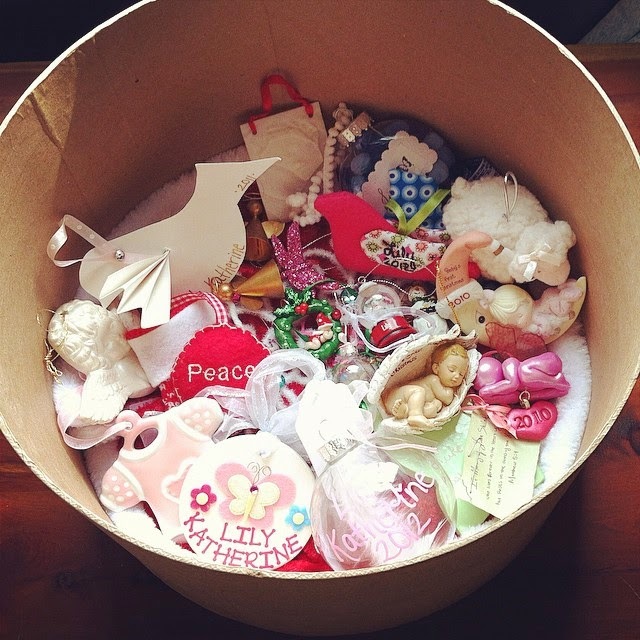 Think of other keepsakes you could put on display. 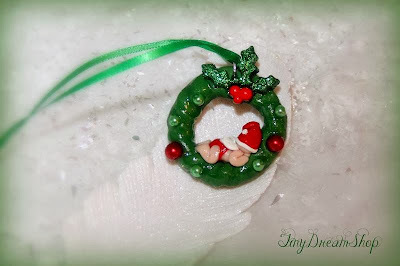 A fun tradition you could do is creating and/or buying an ornament each year for your baby. This is something I greatly look forward to doing in my daughter Lily Katherine's honor each Christmas. 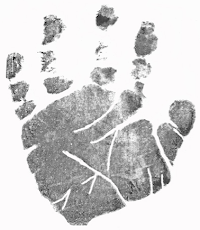 For the year you were pregnant, you could make an ornament with your ultrasound photo, then for the year your baby was born, you could make one with their footprints/handprints. 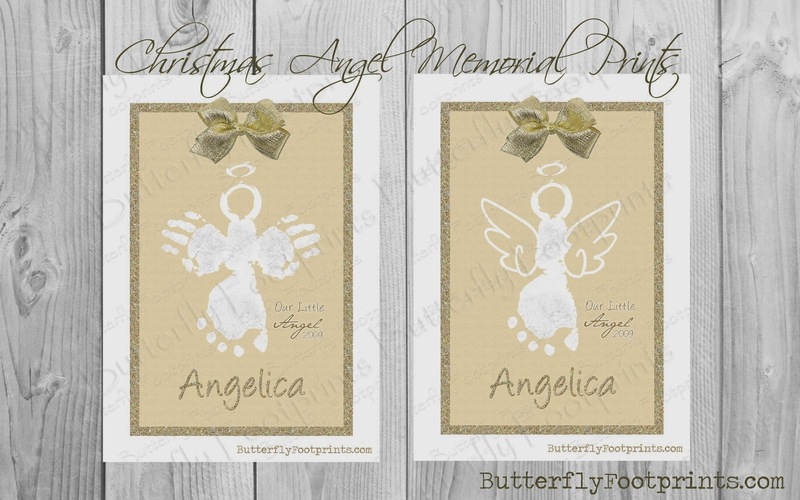 You could also use their photos, name, and birthdate, as well as things that remind you of your baby to create very beautiful ornaments that will last a lifetime. You could even create ornaments in honor of your little one to give to his/her grandparents, aunts, uncles, cousins, friends, etc. You could have a separate tree for your baby, like I have, or display their ornaments on your main Christmas tree. 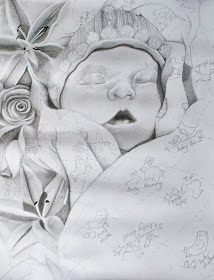 This could be special to incorporate your baby, especially if you have other children. Seeing these special ornaments on the tree can help make your baby a part of the family gathering. 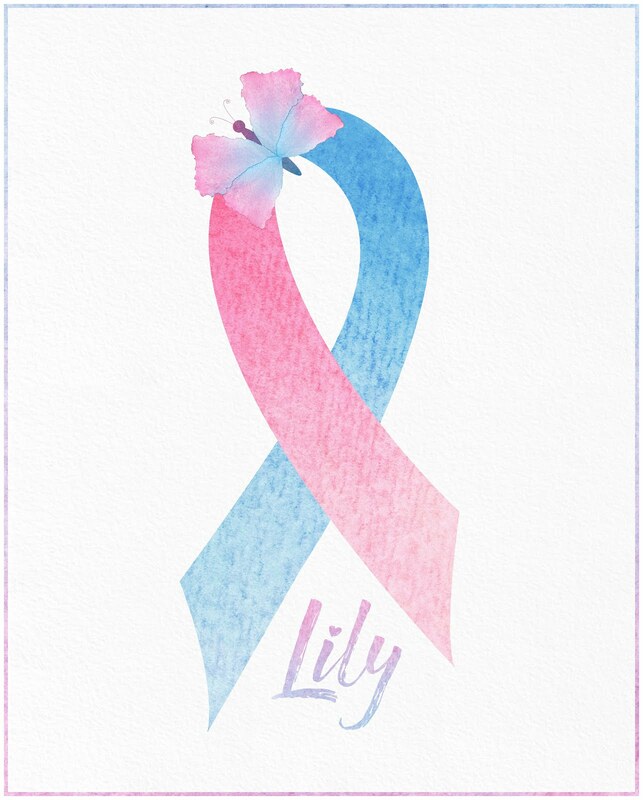 You could also tie pink or blue ribbons on the tree (for Pregnancy and Infant Loss Awareness). Here are some of my favorite ornaments, with suggestions for where you could find some too. For one, Etsy would be a great place to look for ornaments. 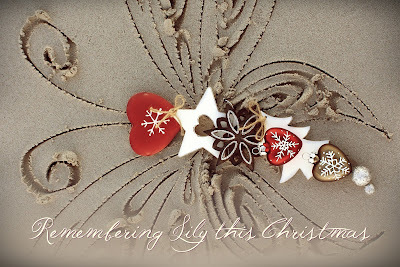 I love these memorial wood burned ornaments from Luminous Light Studio! They sell out quickly each time she opens up the orders, so keep a close eye on her page for when they become available again. 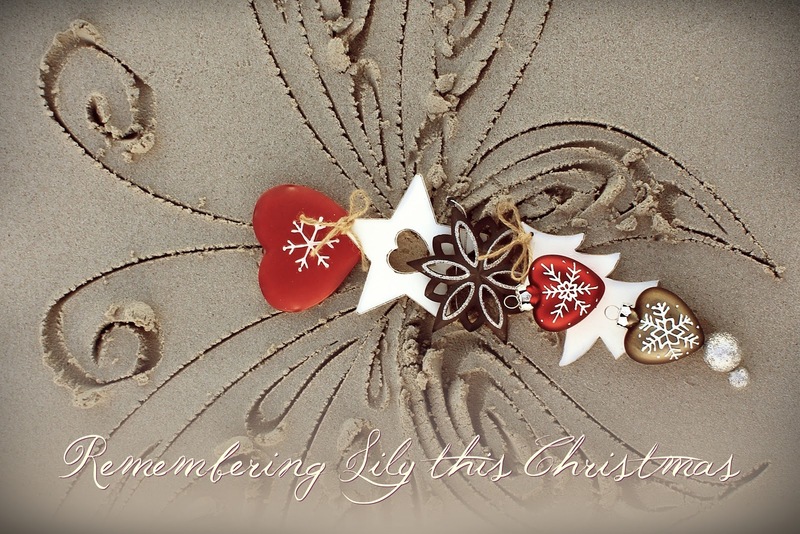 Tiny Dream Shop creates lovely memorial ornaments. Keep an eye on her Facebook page. Here are a couple below that I got from her. 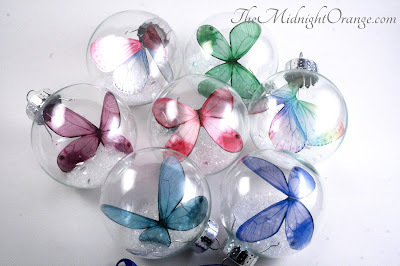 One of my other favorite artists, The Midnight Orange, also makes beautiful memorial Christmas ornaments. Here is mine! If you like the idea of ornaments, you could participate in the Remembering Together Ornament Swap. You will receive an ornament with your baby's name, hand-made with love, from a fellow bereaved mother. 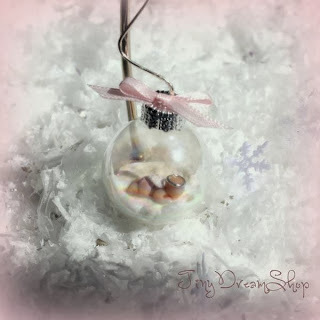 You will also make an ornament honoring a lost child to send to another family. This is such a wonderful idea! Even if you don't participate in this swap, you could do your own swap with people from your local grief support group, or other friends you've met along the journey of loss. If interested, be sure to sign up before their registration deadline, which is November 12th. Make or buy your baby a Christmas stocking to be hung with the rest of the family stockings. It can be healing to create things for your little one and a stocking would be something very special to have during this time of year. You could make it the same size as all your stockings or make it smaller. You could write a letter to your baby each Christmas to put in the stocking. And if you have other children, they could draw a picture or write a note to their sister/brother. On Christmas Day, you could attach these special notes to a balloon to release to the Heavens. Or keep the letters/notes to keep in your baby's memory chest. 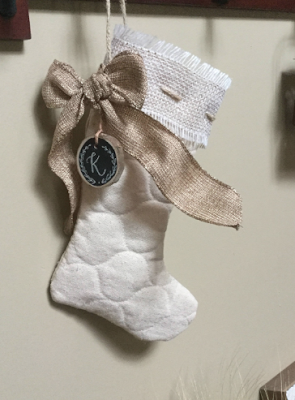 My grandmother (Lily's great-grandmother) created a Christmas stocking for me when I was a little girl, and has now created one for Lily as well. 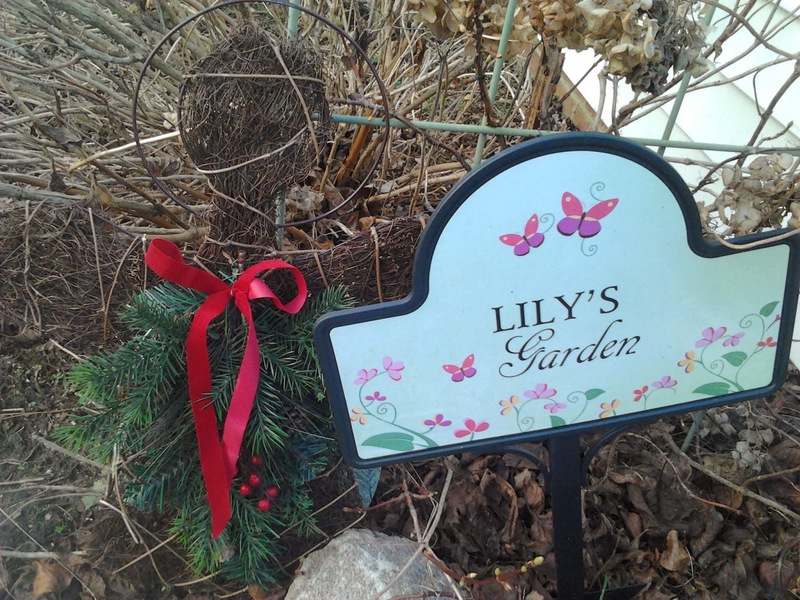 This is one of my favorite ways to include Lily in the season! The ministry Burden Bearing Baskets has sweet memorial stockings available on their website. 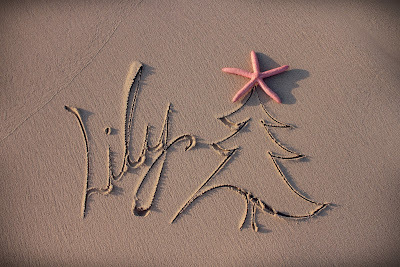 Decorate your baby's special spot for Christmas. You could decorate with a small tree, poinsettia, garlands, pinecones, fake berries, a wreath, statues, or anything else you can think of that is festive. 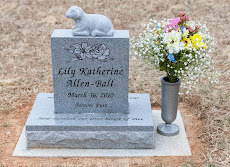 If you have a memorial garden or another special place, you could decorate that place too/instead. Or decorate a mantle or wreath. 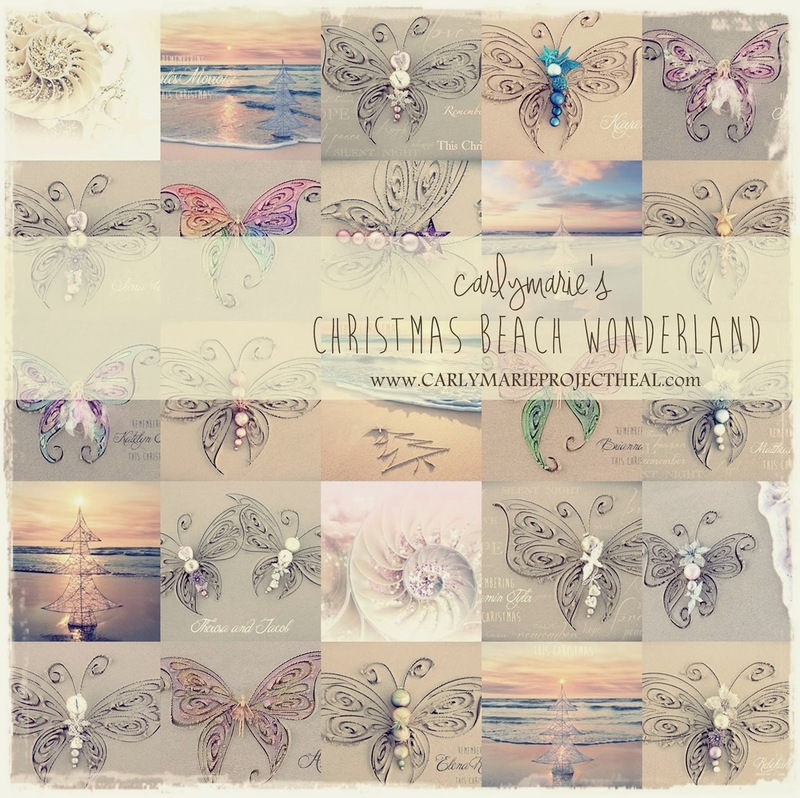 You could get a print or Christmas Sand Tree in honor of your baby from Carly Marie's Christmas Beach Wonderland Gallery (keep an eye on her page to see when she opens up orders this season). These are all the Christmas images I've gotten for Lily and Luke from Carly Marie over the years. 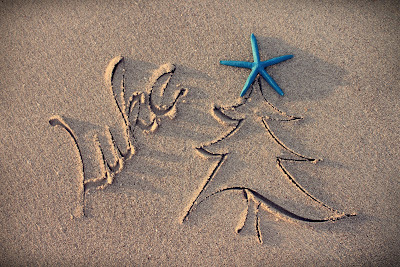 I especially love my Christmas Sand Tree! You can post these photos on your Facebook, blog, Twitter, etc. Another fun idea would be to print them and frame them to be placed around your home as Christmas decorations. That way you can share your babies with others. Or as Carly Marie recommends, print out many copies to be sent out with your Christmas cards/letters. Speaking of Christmas cards, you could buy a special ink stamp that reminds you of your baby and use it as a way to "sign" your baby's name on the cards. 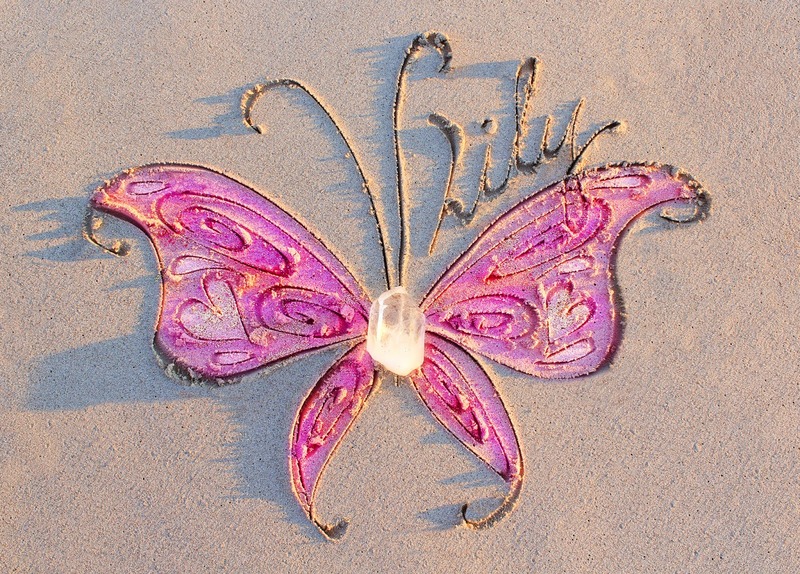 Or even just draw a little heart or a special symbol that reminds you of your baby. And if you take family photos around Christmas time and send them out to friends and family, you could incorporate your baby into the photo by holding or wearing something that reminds you of them, either overtly or privately. You could make a donation in honor and memory of your baby. 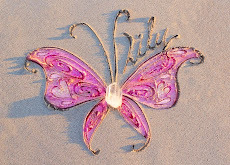 Consider donating to a place that provides comfort to the babyloss community (places such as Molly Bears or Jamie's Butterfly Kisses, among many other places.) 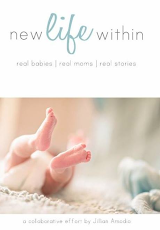 You could create a special book that keeps track of gifts given in your baby's name. Get a Christmas Angel Memorial Print from Butterfly Footprints (keep an eye out to see when she opens up orders again). 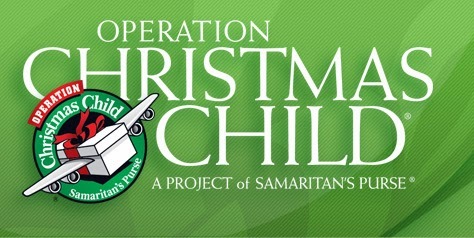 You could pack and donate a shoe box to Samaritan's Purse for Operation Christmas Child. The National Collection Week this year is November 13-20. I was thinking how hard it is not having my girl here to buy Christmas gifts for when I so long to. By participating in this, you can shop for a child the same gender as your baby and the same age they would be now. 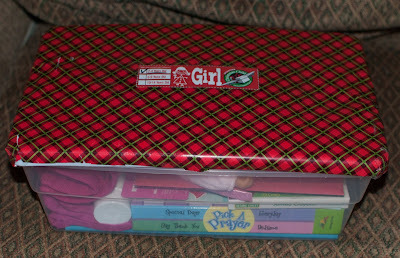 So, for me, I am filling a box for a little 7-year-old girl. I can give another sweet child in need the things I would be giving Lily and still have the joy of shopping for these things and giving them, knowing they are going to bless someone. 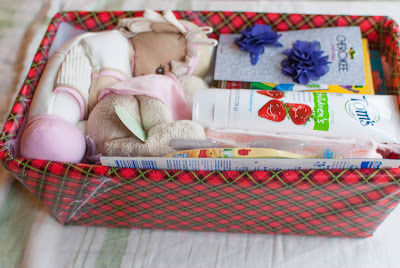 You could ask your close friends and family to donate a box in your child's honor as well. 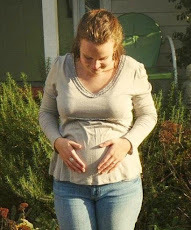 Little kiddos are going to be benefited that wouldn't have been if it weren't for your baby. 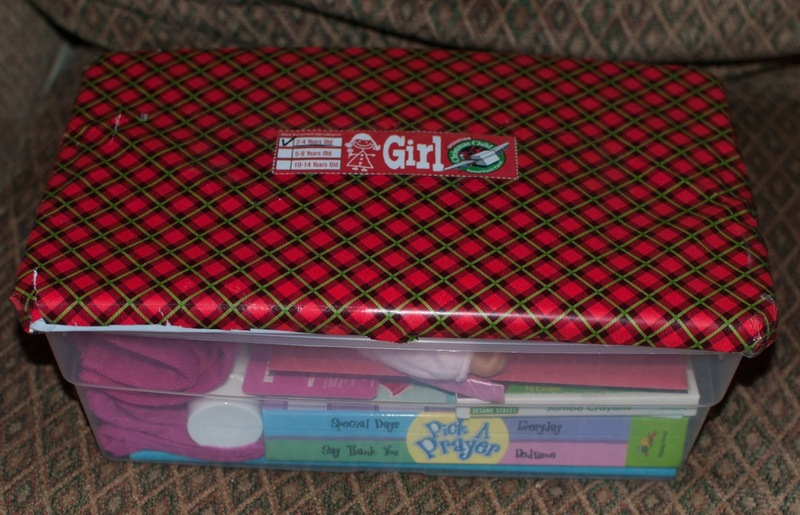 This will be the 6th year my mom and I are either giving a box to Operation Christmas Child, or another ministry in Lily's honor and we are happy to make it a tradition each Christmas. Similarly, you could donate to Angel Tree, a program of Prison Fellowship in your baby's honor. We did that last year. You could donate to Compassion International's Christmas Gift Fund. This is an amazing organization that I strongly encourage others to get involved with! They serve others in Jesus' name. Participate in the Compassionate Friends Worldwide Candle Lighting Service on December 11th. You could serve the holiday meal at a soup kitchen or homeless shelter in your baby's honor. 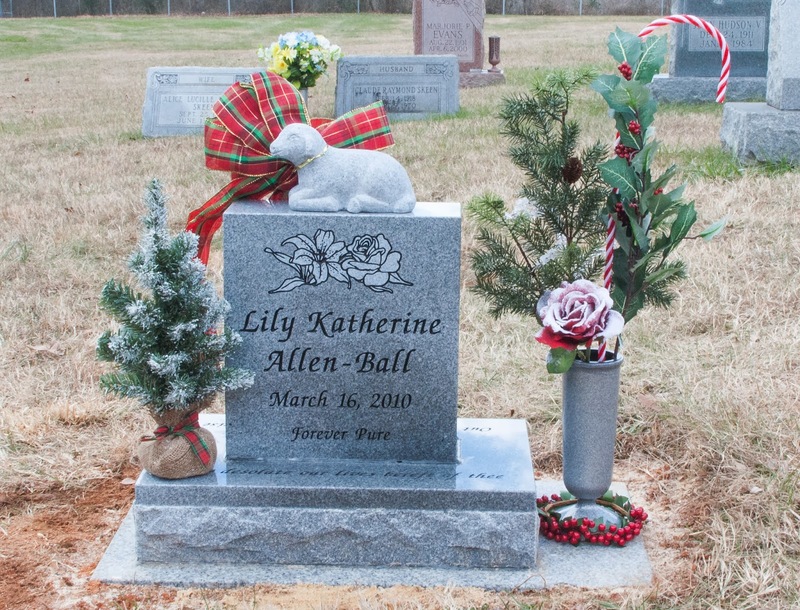 Many newspapers have holiday memorial pages where you can submit a note to your loved one. Check out the Holiday Gift Guide at Still Standing Magazine. 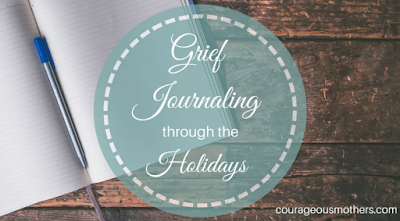 In caring for your heart, you could participate in the Grief Journaling through the Holidays, hosted by Courages Mothers. If you are reading this and know someone who has lost a baby, please tell them you are thinking of their little one this season. Also, consider sending a Christmas card where you specifically mention their precious babe. Here are a couple special Christmas songs..
HEAVEN’S STARS reflecting on the snow.